Biomimicry is the practice of learning from and emulating nature's genius. Every so often an idea comes around that is a game changer. After we hear it and understand it, we never see the world quite the same ever again. Biomimicry is such an idea. It shows us that genius solutions to our challenges already exist. Right outside, in nature. Tested over eons. When you realize that the simple act of learning from and emulating nature’s time tested genius is so profoundly impactful, it’s one of the most inspiring approaches to the world's big challenges that you’ll discover. “Bios” means life, “Mimicry” means imitate. Biomimicry is the practice of learning from and then emulating life’s genius to solve design challenges and create more sustainable designs. 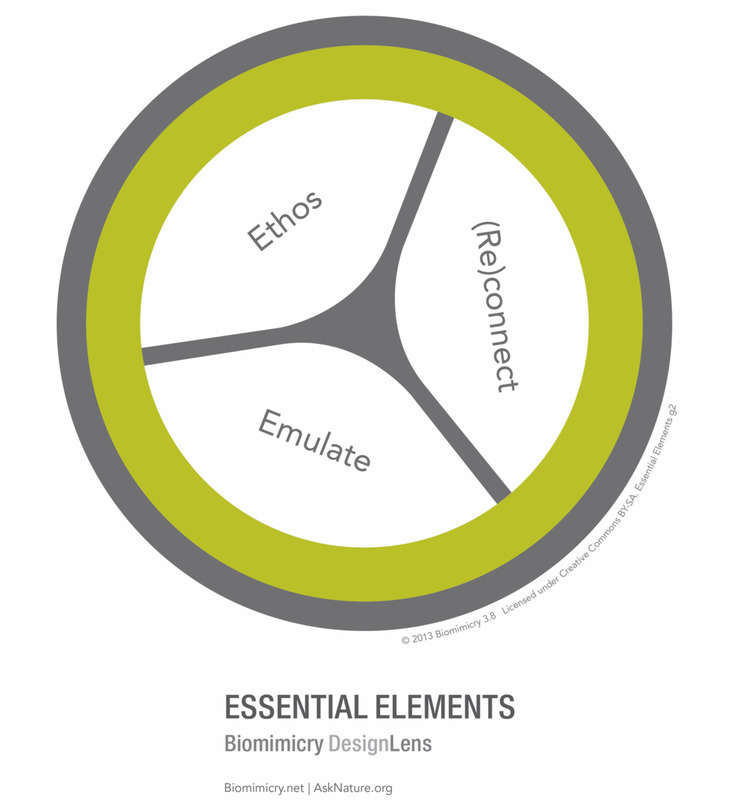 Biomimicry is a design process, a branch of science, a problem-solving method, a sustainability ethos, a movement, a stance toward nature, and a new way of viewing and valuing biodiversity. Find out more about biomimicry by watching this great video by Leonardo DiCaprio of Janine Benyus below. Or discover more through these great resources HERE.